Recently, I had the privilege of once again meeting Hon. 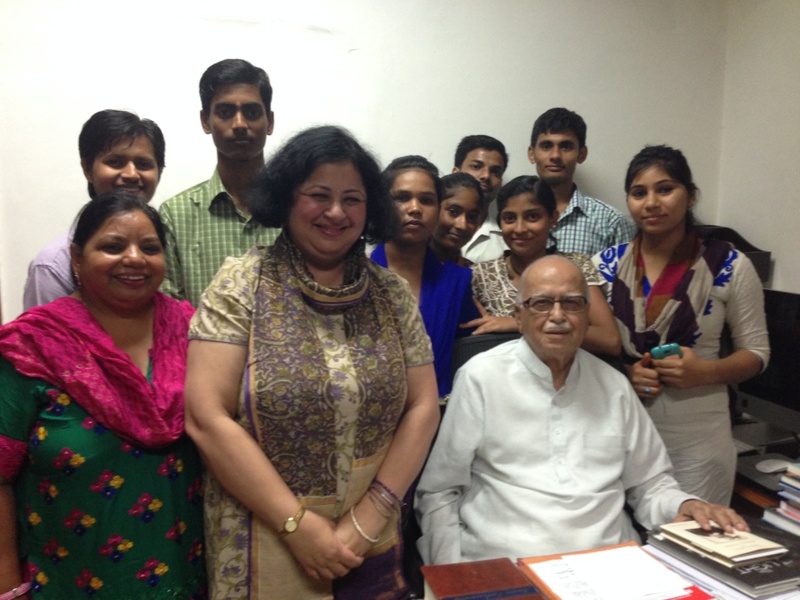 Mr LK Advani, Senior Leader, BJP Parliamentary Party along with my team members and Asha students. It is sheer joy to see how he has always opened his doors for these bright students from Asha communities. The students were thrilled beyond words as Mr Advani welcomed them to his residence and listened to the stories of their accomplishments and impediments they faced. I feel humbled to share such a wonderful relationship with Mr Advani, who has visited Asha communities and chaired various Asha events in the past. His commitment towards Asha is a source of inspiration and encouragement for not only the communities we work with, but also for me and my team on a personal level. As the new leadership of the country begins their work, I can only hope and pray they would continue to support Asha as we strive to assist the urban poor transform their lives.